To me it still feels like South America, but long before the great wave of revolutions changed everything to the core. But I understand what she means. Paraguay does feels like Central America, like Honduras or Guatemala, where the indigenous people are treated with absolute spite, as “un-people”, where the owner of some plantation would not hesitate to blow out the brains of a ‘peon’, just because he is in foul mood or in need to flirt with a trigger. 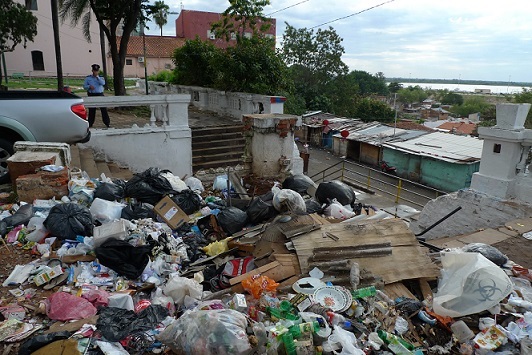 Two percent of people in Paraguay own more than 75 percent of all the land. That says a lot. The Archives of Terror are official documents of police repression during the thirty-five years of Alfredo Stroessner’s dictatorship. They also contain supporting evidence of Operation Condor activities as a part of a campaign of political repressions involving assassination and intelligence operations which was officially implemented in 1975 by the right-wing dictators of the Southern Cone of South America. Do you think that anything changed in Paraguay? They, those responsible for the horrors, are looking at you going through those documents, and they are laughing at you, because they know that nothing will ever change in this country. They are laughing at me, too. I was tortured savagely. They pulled my nails out and they broke my balls. And now, when I go to watch a football match at a stadium, I see them, my torturers, and there is nothing that I can do. We greet each other, politely. We pretend that everything is fine; that nothing really happened… And then, at night, I scream. This was a terrible chapter of our history! Later, so many things happened, during the transition period. But now it is becoming obvious that we did not learn much about democracy. We learned almost nothing! The massacre of 15 June 2012 was well planned. It was performed in order to expel the farmers who decided to occupy the lands, demanding the agrarian reform. Farmers knew that these were the lands unjustifiably seized by Blas N. Riquelme and his company Campos Morombi, with long and entangled legal process behind the case; the systematic strategy of seizure of land and territories still belonging to farmers and indigenous people. This plan was identical in substance to what was taking place throughout the history of post-colonial state of Paraguay (where definition of “post-colonial” is highly questionable). The second objective of the massacre was to create “space” for a “soft coup”, which removed Fernando Lugo from power, through a political trial full of irregularities. What happened in Curuguaty was clearly serving the interests of the powerful and of the business, both legal and illegal. On Saturday, June 27, early in the morning, a group of farmers from Curuguaty once again occupied lands of Marina Kue, where the massacre took place in 2012. They are demanding both clarification of what happened 3 years ago, and the land titles. One evening Mr. Fernando Rojas gave me a lift. He and his comrades from Decidamos (citizen’s campaign “We will decide”) were heading north, to yet another area where farmers dared to take a decisive action and occupy the land that used to belong to them. 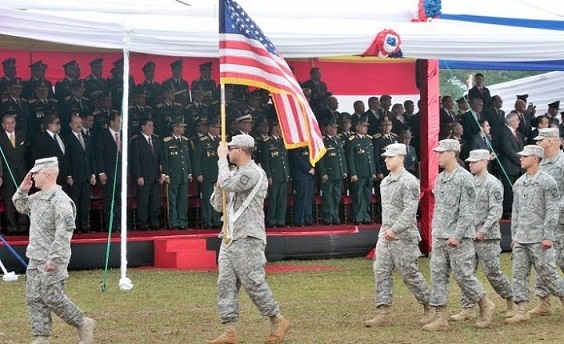 There is already a huge US military air force base in Mariscal Estigarribia, Paraguay, which is located just 200 kilometers from the border with Bolivia and may be utilized by the US military in case that there is a US-backed coup against the socialist government of Evo Morales in Bolivia. That base is capable of housing over 16,000 troops. Near Mariscal Estigarribia are Bolivia’s natural gas reserves, the second largest in Latin America. The area has also huge significance, as the Guarani Aquifer is one of the world’s largest reserves of water. 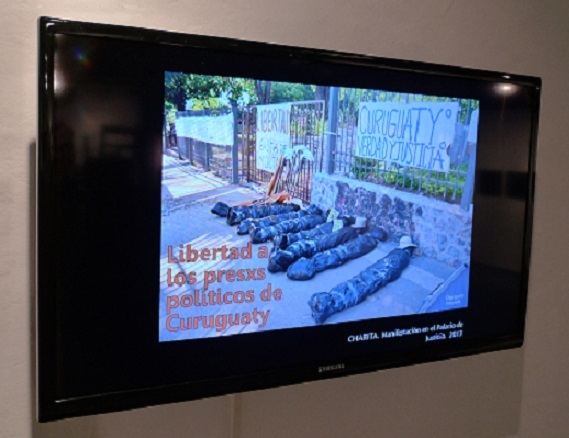 Recently, a host of individuals and organizations throughout Latin America called attention to the tumultuous state of politics in Paraguay, where democratically elected President Fernando Lugo was impeached by the country’s Congress under somewhat dubious circumstances. In a letter of protest, the signatories sketched out a rather inflammatory theory. They claim, for example, that the US Southern Command wanted Lugo gone as the Paraguayan leader who had opposed US militarization in his country. We already know who overthrew Fernando Lugo and why,” they added. “El Chaco … cannot be allowed to belong to [Paraguay]… nor its people; [the region has] been bound for occupation and extraction by multinationals through megaprojects and terror financed with public resources. The coup in Paraguay, like similar ones throughout Latin America, was carried out by and for multinationals and their partners among the local elites. Fernando Lugo was not really a socialist. He was never in the same league with Chavez, Morales, or Correa. He is a liberation theology priest, a former bishop. After he was deposed, he did not leave the country, eventually becoming a senator. But even his center-left government became intolerable for the US interests and for the Paraguayan ‘elites’. These days, in Paraguay, political leaders are defending interests of big businesses and their owners; consequently, they are ruling our country in a way that serves these interests and not the interests of Paraguayan people. These leaders are pushing for extreme consumerism, promoting deals that are serving interests of big multinational corporations, putting at risk our national sovereignty, allowing foreign military interventions, unleashing so-called ‘war against drugs,’ which turns itself into the excuse for the presence of the American armed forces in Paraguay. This radically reverses the relationship between the USA and Latin America, back to the point of direct military interventions, similar to what used to happen to Paraguay during the Cold War in the 70’s, when Paraguay used to be a pillar of the US aggression in the region. In the 1990s, as a young journalist, I had witnessed several joint operations of the Paraguayan military and the agents of the US Drug Enforcement Agency (DEA). Twice I flew on board military helicopters to the border with Brazil, where several plants of marijuana were burned just for the lenses of us – foreign correspondents. This article was posted on Friday, July 24th, 2015 at 7:17am and is filed under Colonialism, Democracy, History, Imperialism, Militarism, Original Peoples, Paraguay, Poverty.